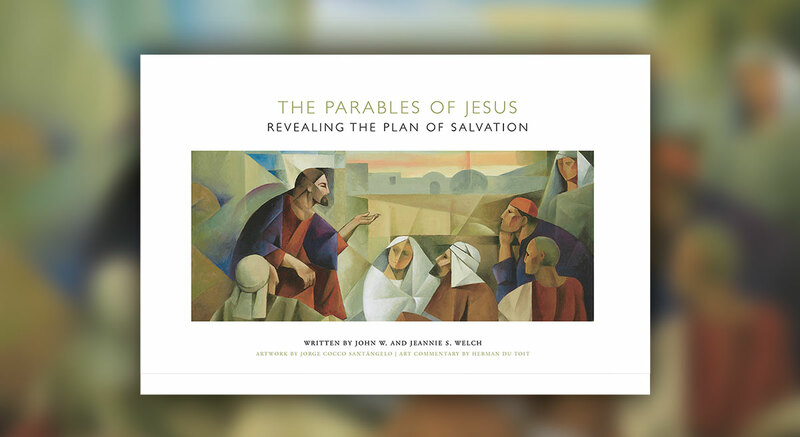 Book of Mormon Central had the opportunity to sit down with authors John W. Welch and Jeannie S. Welch to discuss their new book The Parables of Jesus: Revealing the Plan of Salvation. See below to watch Jonathon Riley interview John and Jeannie Welch about why they wrote this beautiful book. These parables can help readers draw closer to Christ during this year's Come Follow Me curriculum, since this book focuses on a previously unexplored insight into the parables. In this ground-breaking perspective, the authors point out how the parables teach about different parts of the Plan of Salvation, and how the deepest insights of Jesus' message may be intended for a temple-attending audience. In addition, the book is richly illustrated with newly-commissioned works of art by Latter-day Saint artist Jorge Cocco Santángelo. The parables of Jesus Christ are among His best-known and most-loved teachings. After centuries of study, what is yet to be discovered in these lessons from the Lord? For those who search these scriptural accounts seeking personal applications, new discoveries always await. View the parables with fresh eyes in The Parables of Jesus, a unique textual and visual presentation of the familiar narratives woven and interwoven by the Master. Each story is included here in its entirety, alongside indepth studies of the setting, context, language, and culture in which that parable was originally situated and shared. Above all, each parable is positioned within God the Father's great plan of salvation. Knowing that encompassing doctrine is the key to finding the Savior's love in these treasured instructions, both individually and interactively. To inspire deeper insights and personal connections with the parables, the words of Christ are depicted in an original series of striking paintings by Latter-day Saint artist Jorge Cocco Santángelo. With imagery and inspiring artistic commentary that transcends the ordinary, this visually stunning uniting of word and art paves the way for personal and family applications of the parables as never before. Those interested can purchase the book at Seagull Book or Amazon. Use the files below to help guide you in your Come Follow Me study.